I have just had a gas safe engineer out to check my appliances and to get my certificate. I'm a little unsure as to whether the man is trying to make money out of me. He didn't turn the gas on and check my appliances; he had a look round the van and told me I need to put metal plates everywhere where the appliances are located. He also pointed out that the trailer needed a vent in the floor. He offered to do all this work for £900. Is this the usual thing your gas safe engineer comes and does? I thought they checked your appliances? Not to arrange your catering van and add bits to it? Please could you tell me if this sounds normal? Caravan certificates are not valid for catering trailers (different qualifications). Gas leaks, heat damage, carbon dioxide levels above 6000ppm, carbon monoxide levels above 20ppm are all immediately dangerous, mostly everything else is 'at risk', the engineer seeks permission to turn off appliances, but the owner can refuse. The issue then is that warning labels are attached to appliances and warning notices signed, which local authorities do not like. 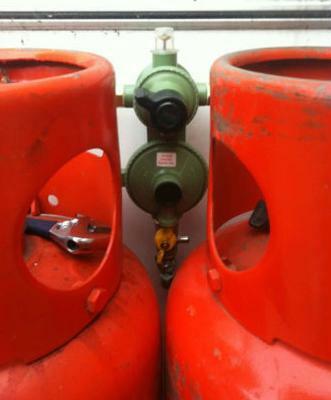 I carry out gas safety work for two manufacturers, I tend to only do these and my regulars, when anyone calls me I do not know my first questions are, who made the trailer, when, when did they buy it etc, if the answer is three year old ajc/towability/foreshaw/sms/a&rwillis etc I know what I'm dealing with, if it is unknown bought off eBay for £2500, expect me not to be interested, as there will be major non-compliance issues, even on £25k showman built trailers this is the case. Use a reputable trailer builder, spend money with them and they will look after you, this will pay dividends in the long run, especially when you turn up to a job and need problem sorting out or lose a weekend's takings. I have a catering van. It is doing so badly with the terrible weather. Because of council redtapes (grrr) we started in november but we gained experience since. It seems hard but then it is our own and we make our own decisions! 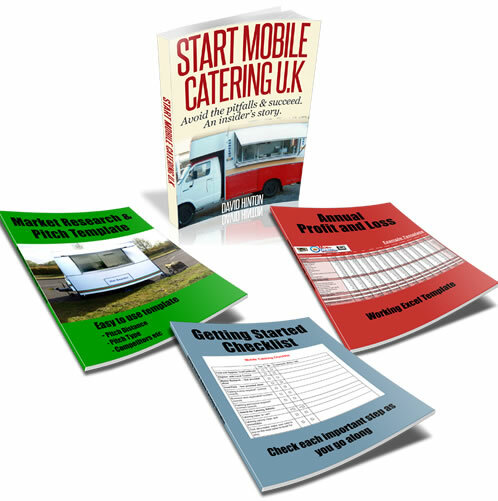 My son is about to start his new career as mobile caterer, he has his pitch arranged, has the gas and electrical certs. and is just waiting for his trailer hygiene certificate from the local council however with regards cleaning agents and to comply with any food safety regs can you tell me what chemical cleaning materials are most suitable and if there is a reliable supplier in Scotland. Just wanted to let you know that I found another gas safe engineer and the van went straight through the test no problems and he told me my van was very good . So the other man must have been trying to make a bit of money out of me. Thanks for the advice. Yes you are correct the engineer should also test each appliance, pipes, safety cut off valve, regulator and more which includes vents, splash guards etc. But £900 sounds like a lot as you don't even know what else needs to be done.